Alex came within given time. Expert in locksmiths. I was very disappointed with economy lock Raj he just made money and work for money but expert locksmith are expert super friendly and give you 1 year warranty. Economy lock Raj did not even gave me 1 hr warranty. I m very happy with expert locksmith worth to use them. Super fast excellent job done. Locksmith showed up only 15 minutes after phoning. His name was Alex, a great guy. Friendly and professional. He got the door ope in around 5 minutes he really saved the day. Would definitely recommend. Alex was excellent. He came out in 10mins, I needed the lock changing and it only took him a further 10mins. Hopefully I don't lock myself out again but if I do I will definitely use these guys! We had an unexpected problem with the lock of our patio door. Upon contacting Berkshire Expert Locksmiths we received a visit 30 minutes later, all fixed within the hour. Technician Y. was polite and tidy. Great experience... right on time & friendly service .. Highly recommendable.. Excellent service. Very prompt arrival, gave me a range of options to choose from, and done to a high standard. Would highly recommend. Managed to get locked out of my car with the engine still running. Needed help urgently and these guys were there in 20 mins and quickly solved my problem. Top class professional and friendly service. From arranging for my locks to be replaced to the locksmith changing the locks. It was super efficient. Will highly recommend.Can't thank you guys enough. Very impressed with the owner of the Berkshire Expert Locksmiths. He was very prompt in answering the phone, extremly polite and did a really good job in assessing the requirements and then carrying out the installation swiflty. I have no hesttiation in recommending Eyal and his company to other. Very pleased!! Yanko arrived promptly and checked several times that the problem was not a fluke and quickly replaced the barrel. He then went on to check that I had tested it and was satisfied. Thank you so much for making this a positive experience! I will definitely recommend! Yanko came within 15 minutes and did a great job! And he tidied up afterward. Absolutely recommended. 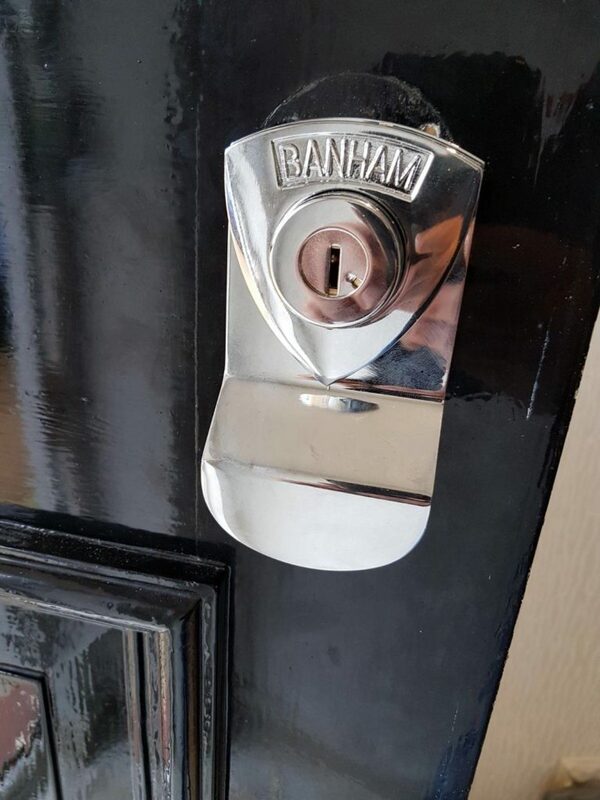 These guys are AMAZING!..Having managed to get myself locked out of my house after midnight - Berkshire Expert Locksmiths were the ONLY company that picked up the phone and dealt with my emergency. ( I tied at least 10 different numbers beforehand.) Janko was super helpful and Alex was just BRILLIANT. Excellent service and value for money. They really know what they are doing and were so polite and helpful. 5 Star service rating and highly recommended! I have outstanding experience with this locksmith. They were really great and also very professional. I like and love their work. Thanks a lot..!! I used Berkshire Expert Locksmiths to get a house I just purchased Rekeyed. He was very professional and courteous. I received a call when he was on his way and he Rekeyed 3 locks and completely replaced one lock in less than 45 Mins. I would highly recommend Berkshire Expert Locksmiths ..!! It was really great. Reliable service. He answered all my questions. He was very friendly and did a quick and efficient job. I will highly recommend him to anyone..!! I called several places to get a New Key cut for my car. Not only did this guy give me the fair price, he came to me to do it. Very convenient and fast and friendly service! Thanks. I needed several door Locks Rekeyed. The Locksmith explained my options and the pricing. I had did my homework so I was pleased with the quote and efficiency in getting the job dome.. I will highly recommend them to anyone..!! They came on a Sunday. Max was really awesome, they got to me quick and they have in my opinion best price around. Definitely will use them in the future. Awesome service. The Key to my 2008 ford Taurus came out its housing abd they we able to make me a new one with ease. And able to replace my housing due to it being an older model. Anyways thanks lots. 100% recommend!! Cheapest locksmith in my town. Came very quickly in 15min & Unlocked fast. Very nice and also friendly people..!!! Got my Keys programmed right the first time. Quick and friendly service. Will back here if needed any types of locksmith services. Very professional and very quick service provider. Max helped me with all my needs and offered great service. I would highly recommend this service for anyone who needs Copies of Keys. Needed to make a Copy of two Keys and found this spot from a quick Yelp search. They were able to do it super quick. I'd come back if I was in the area and needed a key made. Thanks man. The tech was so helpful and also professional worker. He arrived very quickly and also did our Lock Replacement work very soft hand. Thanks man. My Car Key was falling apart and they were able to give me a stronger key for less than half the price of the dealership! My key was really worn down but they knew how to make a better copy, I could tell they really are experts in their field and nice guys on top of that. Overall outstanding..!! Thanks. They were the best locksmith company in our area. I will highly recommend them to my friends and family. Thanks lots. I was locked out in funny way inside my apartment, well.. these guys saved the day! Reliable, fast and professional. Thanks guys. My impression was this - considerate, honest and trustworthy. Long story short they delivered what they said, which was above my expectations. Seemed to genuinely care about the customer. Helped me resolve an issue and for no extra charge. My first stop locksmith from now on. Thank you man for your help. Fast and professional. These guys were amazing. Went over and above to get me into my garage change locks and program the door codes. Thank you Nice to finally get real service from a company. I locked myself out of my office. Max came out to unlock the door for me. He was prompt and professional. Would definitely use Berkshire Expert Locksmith again. Thanks Max! I needed to get the locks changed on my historic home after moving in. Max called me to set the time later that day, and actually arrived a few minutes early which was great. He changed all the lock cylinders, including the ones on my original 120 year old doors. He also had the vintage Baldwin keys that a lot of locksmiths don't have. He was very professional and thorough. I'm very pleased and would do business with them again. Highly recommend. Prompt, friendly, and courteous. Provided recommendations and explanation before changing locks. Highly recommend! Greg was really awesome. He gave an estimated quote and timeline, and did a great job and the final bill matched the quote. He also had some great tips for safety in general which I appreciated. I would recommend Max the next time you need this service. He was friendly and on time. He did an awesome job of changing my locks. He is very knowledgeable of how things work. I felt comfortable having him in my home. I would definitely use this company again. Excellent speedy & polite service! Arrived in 20 minutes and was able to unlock the door in under a few minutes! Definitely recommend this service and will use again if we ever need to. Super service! I was helped by the team who was very friendly and done quickly. I would definitely recommend this service to others. Thanks again! The man is very professional. He went out of his way to Re-Key. They came on time and also did very fantastic work. I will highly recommend them. Mr Max has extremely professional service very timely and polite if I ever lockout again I will be calling lock tech. Best..!! Called for an emergency locksmith service and their availability was incredible, they showed up after 20 minutes (the other companies told me it will take some time). Very pleased with their service, I was locked outside in the cold and didn't have to wait for too long. The locksmith was very responsive and professional. He replaced the lock in a matter of minutes. Fairly priced when compared to other locksmiths in the area. We provides a full range of locksmith service to all parts of the Royal Country of Berkshire. • New locks fitted/installed . • Security surveys and consultations for residential and commercial properties. • Access control systems installs – including electronic finger print, keypad or swipe/access cards. • Post burglary repairs – either long term or short term including boarding up broken doors or windows. We offers you the best locksmith services around, but also provide a full range of security services. We can complete a thorough home security check that includes checking all around your premises to give you piece of mind so that you know you and your family are safe. Request a free callbackClick on the button to request a free call back for our locksmith services.